When I first decided to take a gap year, I immediately found myself faced with a thousand different choices of what to do, where to go, and which company to go with. It seems amazing therefore that despite all the madness of trying to find exactly what I was looking for, I managed to find the perfect company for me; Oyster Worldwide. In February 2014, after having attended an excellent briefing and support day at the Oyster offices, my friend Laura and I were met at the airport by a lovely member of the Oyster staff, and set off (with lots of nerves!) on our adventure! As soon as we set our feet on Nepali soil, however, it was clear we were in safe hands; we were met at the airport by Oyster’s in-country representative Basant, who throughout our whole trip went above and beyond to make us feel safe and happy (we even spent a lovely evening celebrating his birthday at a Kathmandu restaurant!). 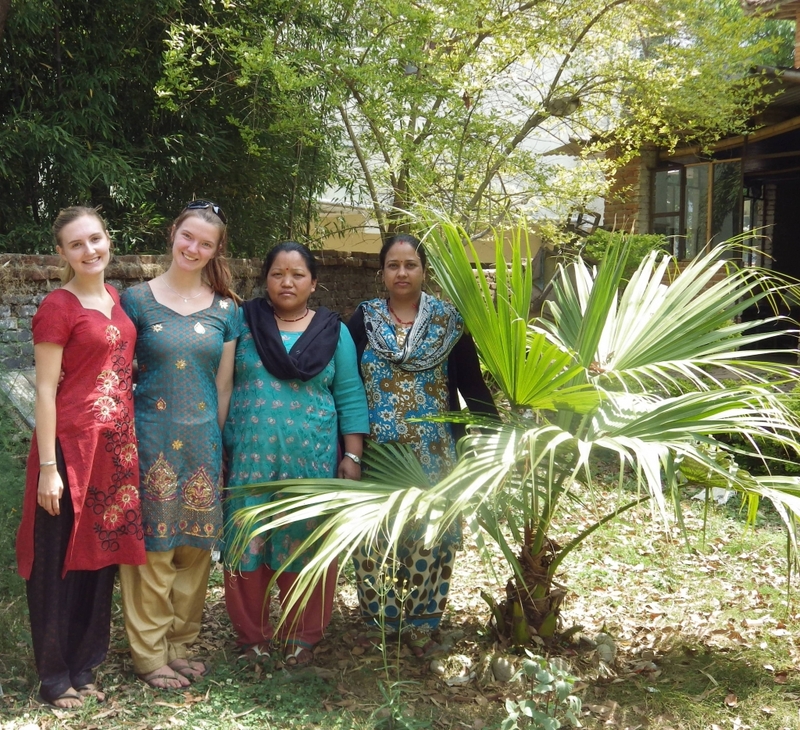 Within days we were settled into our home in a beautiful village in the Kathmandu Valley. 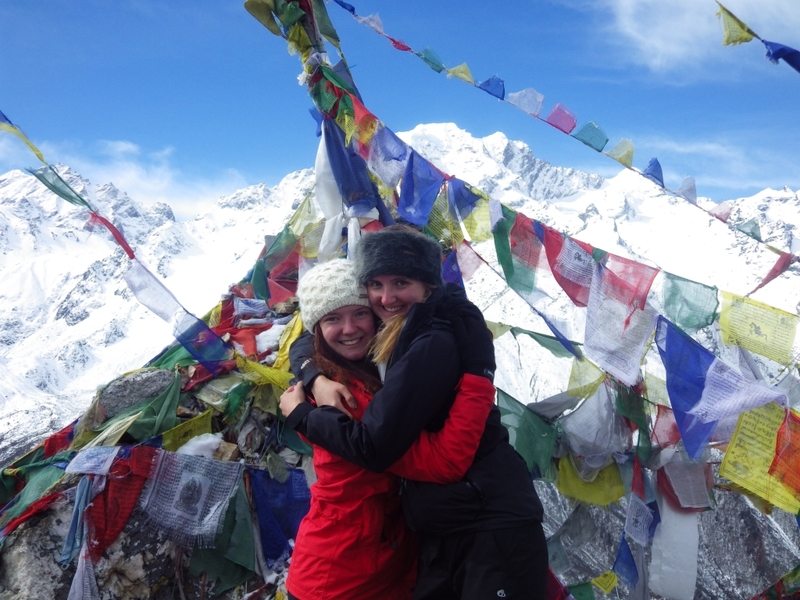 This is where we truly got to experience Nepal – and the people were some of the friendliest I’ve ever met! Living with a wonderful Nepali family meant helping with the potato harvest, attending regular family wedding parties, eating Dahl Baat (a delicious lentil curry) twice a day, and saying ‘Namaste!’ to everyone we ever saw. 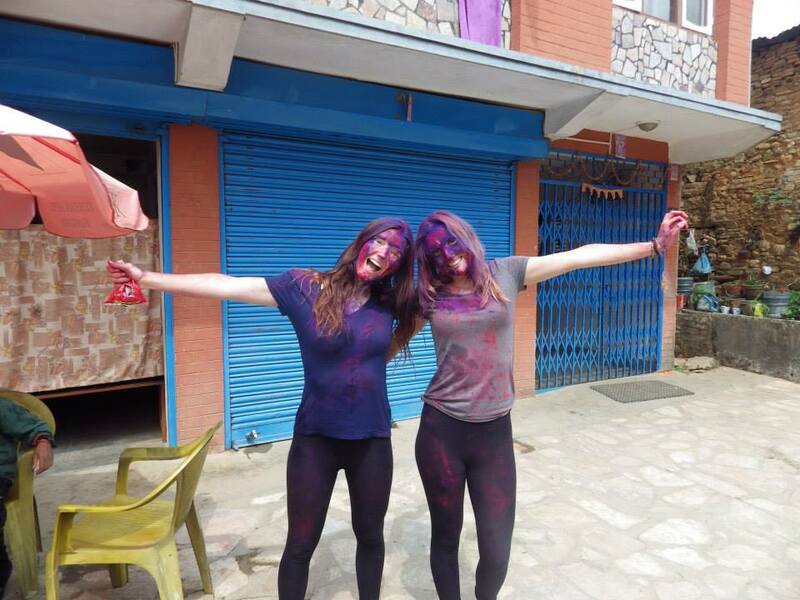 A particular highlight of the trip was celebrating the festival of ‘Holi’ (the festival of colour) in the village; we joined in with the hundreds of children running around the dirt roads throwing powder paint and water balloons at each other – it took us days to get all of the paint off! Living in the village with our host family was a heart-warming experience and I now feel so lucky to be able to say that I have a second family in Nepal. 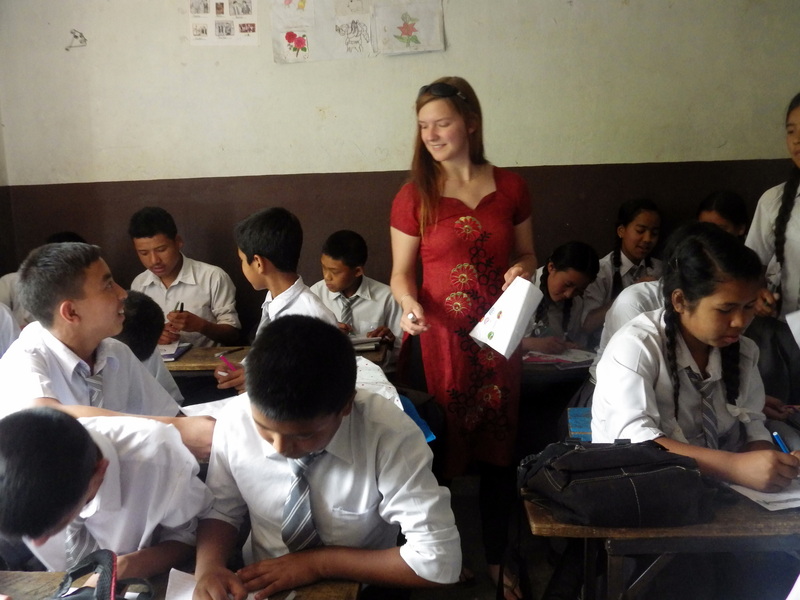 Our first day of teaching came very soon after arriving in Nepal, and it was certainly a nerve-wracking experience! However as soon as we arrived at the school gates we were ambushed by excited smiling children, desperate to talk to us about anything and everything, from our family’s names to trying to teach us the Nepali language! During assembly we were welcomed to the school by each child individually, and the moment we walked into our first class we were greeted with cheers and excitement – something that happened at the start of every lesson for the next three months! Any nerves about what and how to teach the children were also soon forgotten; they were eager to learn anything we taught them (for example one of their favourite lessons involved them quizzing us – in English! – on Nepali culture), and seemed to pick up English just from listening to us talk. Watching them progress was one of the most rewarding things I’ve ever done. One of the things that made this project stand out among the thousands of projects and companies available were the unforgettable trips included in the price. Being someone who has never before stepped inside a pair of trekking boots, the idea of a week long trek up the Himalayas was initially terrifying. However, just a few steps on the very first day made me determined to reach the top; and when I did, I can honestly say I have never been more proud of myself. In addition to this, an eye-opening road trip through Tibet and white-water rafting down to a safari for three days really proved to me that I had made the right choice in choosing Oyster Worldwide for my gap year. As the second member of my family to have had an incredible gap year with Oyster Worldwide I have no hesitation in recommending them – and especially their Nepal project – to anyone looking for an amazing experience that they will remember for the rest of their lives! Next Post National Read A Book Day: Our recommend travel reads.